I love watching YouTube videos and over the past year YouTube has slowly overtaken movies,television and sometimes even books (!) as my most preferred form of killing a couple of hours. It started off with a couple of make-up tutorials here and there and before I knew it, I was watching a couple hours a day. I discovered the whole new world of vlogging or video blogging and watched as people put their whole lives and travels on the internet. More than just a platform to watch cat videos, YouTube is full of people just constantly creating content for the rest of the world to see. Creating videos about beauty, photography, fitness, cooking and craft. Even people using YouTube to create real social change through videos promoting awareness and giving. It was inspiring, entertaining and just super cool. Being a travel blogger, my interests soon turned towards the YouTubers who are using videos as a platform to talk about travel and adventure. It turns out there a quite a lot of them! I thought I would spend a little time introducing my five favourites. Ben is a 28 year old from the UK. He is primarily a freelance photographer but he uploads daily vlogs of his travels and his adventures onto YouTube. His photography and skill is incredible and his Instagram @mrbenbrown is a must follow. From flying in a Helijet over glaciers in Canada to doing awesome road trips in South Africa, you may as well pack your bags now because Ben’s videos will make you want to go on an awesome adventure. I have spoken about these guys on here before but they are so freakin’ cute. If I was five years younger I would probably be a serious fangirl. Jack and Finn make amazing, creative and quality videos about the world around them. They also use their influence and channel so well by promoting little known artists, raising money for charities and promoting campaigns for organisations like teenage cancer trust and comic relief. They also drove across india in a Rickshaw, so there’s that. Let’s not leave all the adventure for the boys! One small gripe of mine is that in the world of Travel YouTubers there isn’t enough girls. It’s not like we are all sitting at home straightening our hair because we are all having the same awesome adventures. So let’s get our film on! Nadine makes short snappy videos full of travel advice, great shots and even deals with the serious stuff like loneliness on the road. Kristen has the most expressive face I have ever seen, sometimes to the point where I am just so distracted by her face that I forget to listen to what she is saying. A super dedicated travel YouTuber, she makes heaps of advice videos ranging from tips for passing time in airports to how to get cheap flights. Yeah, she does do some super awkward sponsored videos from time to time but she is mostly entertaining and informative. Can’t mention travel YouTubers without mentioning this guy. A recent addition to my subscriptions, Louis is a dreadlocked, genuine,and just interesting guy. He travel’s a lot and uploads a vlog everyday. He really embodies his slogan, “Live the Adventure” and his blogs see him travelling all over London, the UK and the rest of the world. 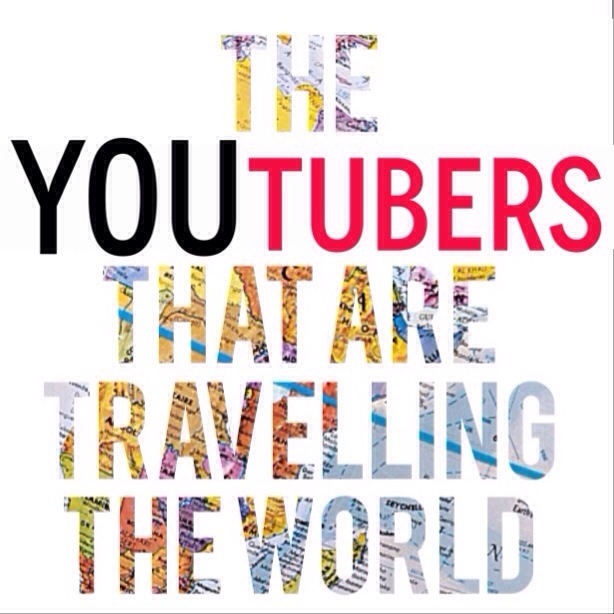 So I hope these YouTubers will inspire you (like they have me) on your individual quests to create, care and travel the world. Have I missed any awesome travel-based YouTubers that deserve a mention? Do you watch YouTube? I would love to know so that I can waste even more time procrastinating from my own creating! Write me a comment or email me at dirtypawsblog@gmail.com. They are such awesome travel babes! Thank you so much for the shout out. I’m glad you enjoy my videos 🙂 Such great company to be in as well. Love all of these YouTubers! No problem Kristen 🙂 Love your videos! and yes they are all such awesome people.